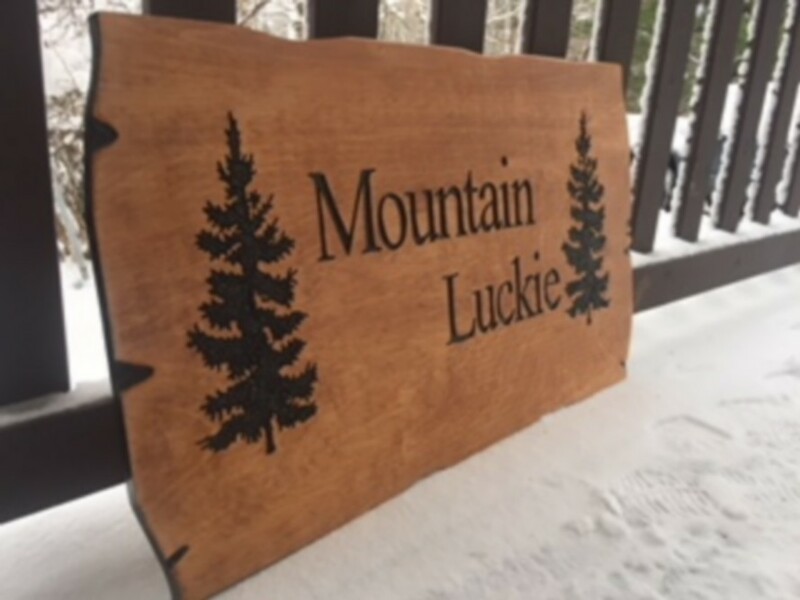 Custom wood signs hand-carved and created by former Sun Peaks local wood artist Christie, are a perfect way to promote your home, vacation rental property, B&B, ski chalet, or business of any kind to friends, guests, and potential customers. 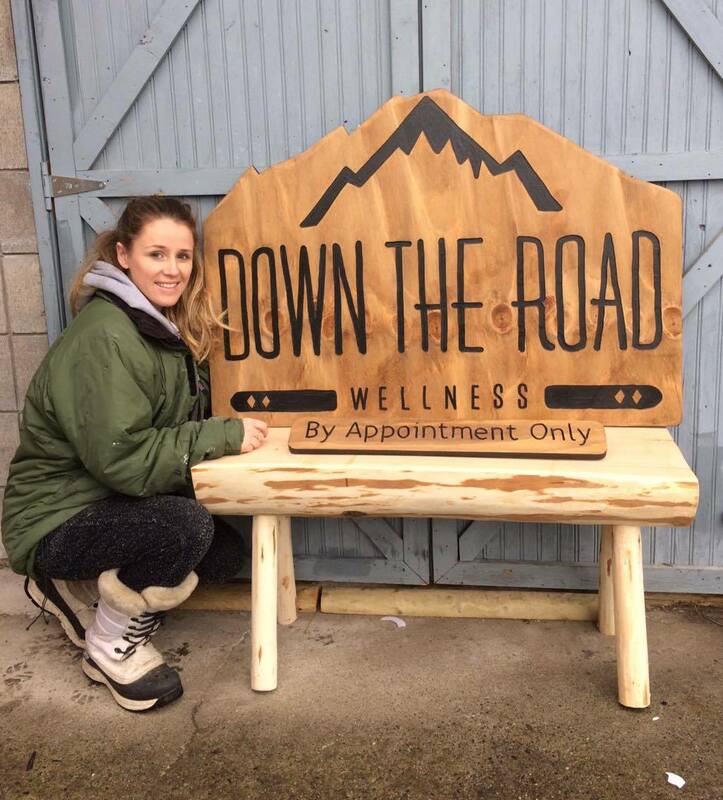 Christie is a skilled and talented woodworker, who can work with your vision, ideas, concepts, designs and logos to create beautiful, durable, long-lasting wooden interior or exterior signage. 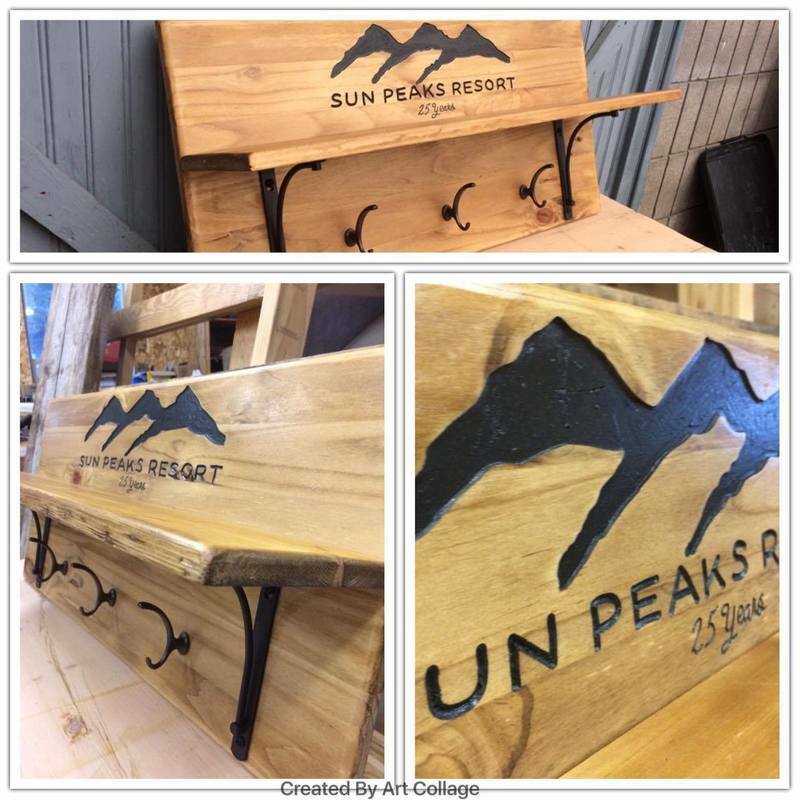 She has a passion for creating different shapes and unique styles of custom wood signs that can either be wall-mounted or hanging wood signs. Each sign is unique and carved by hand so no two signs will be the same. 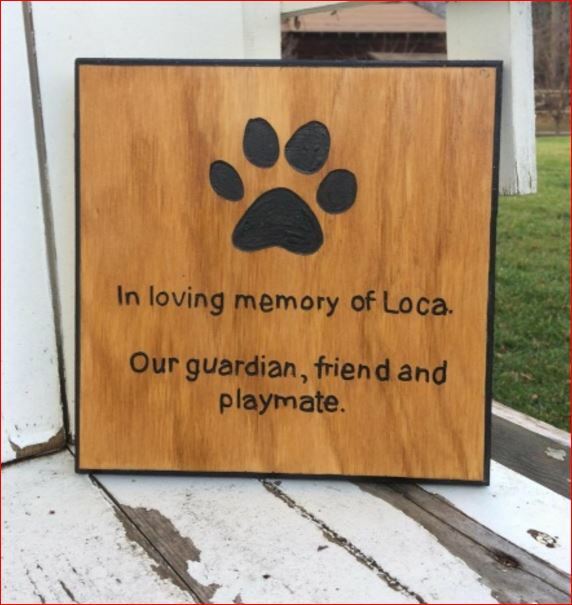 Once carved, each sign is then hand painted and stained with your choice of stain. 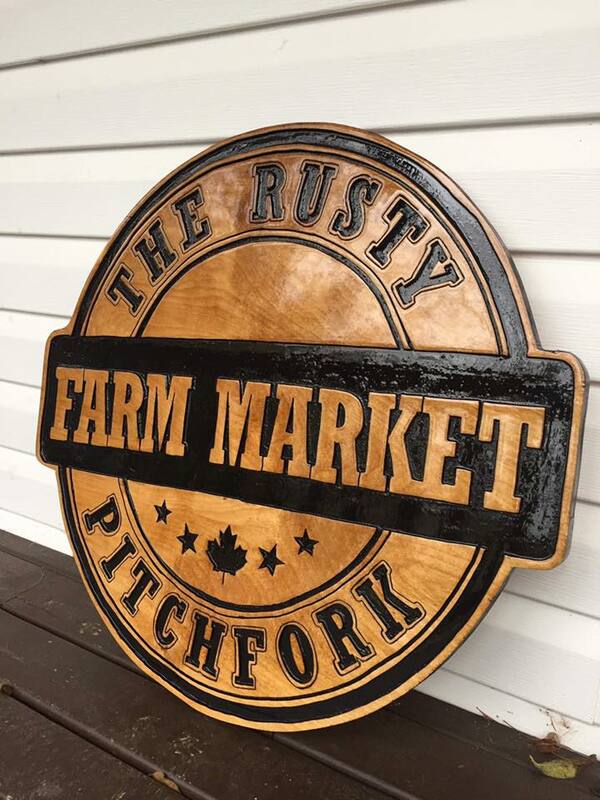 The custom wood signs are then finished with commercial grade clear coat which offers both weather and UV protection. 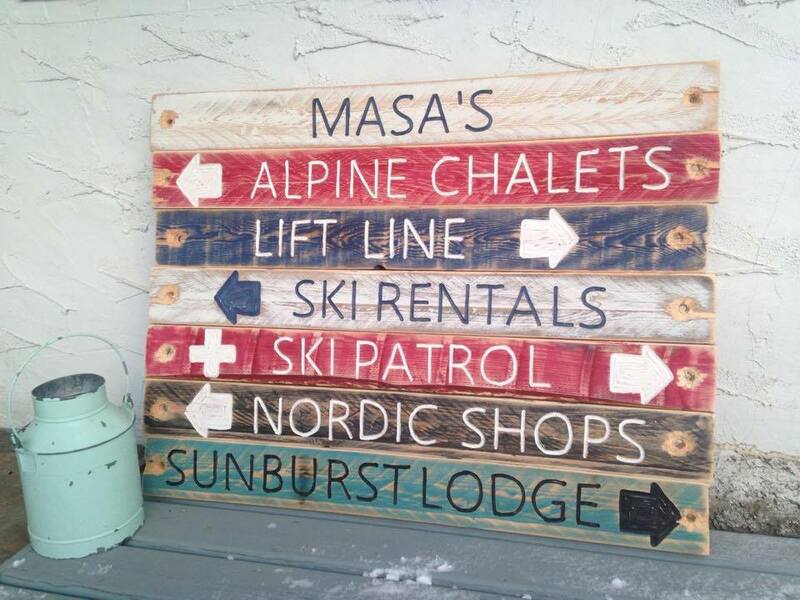 Choose from a gloss finish or rustic/satin finish to complete your beautiful sign. 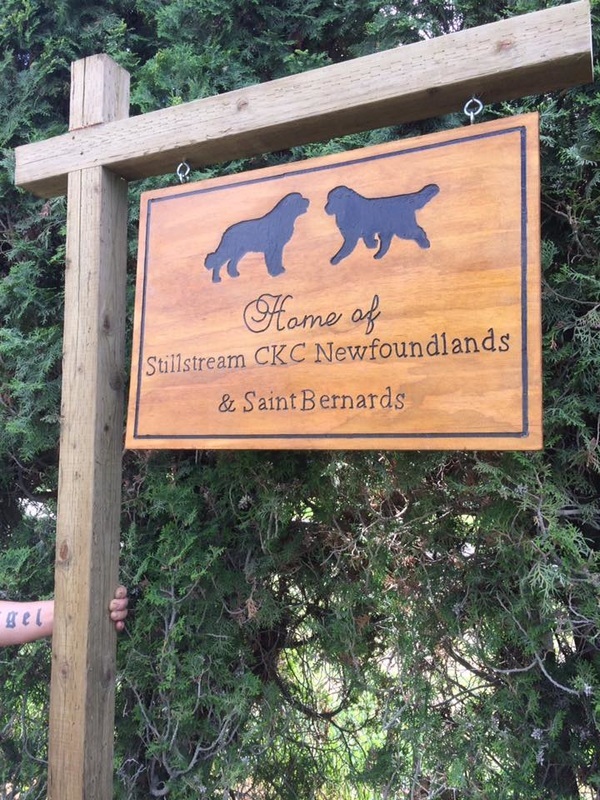 Christie has created numerous business signs and is happy to incorporate your logo or text, and her quality wood signs are very reasonably priced. 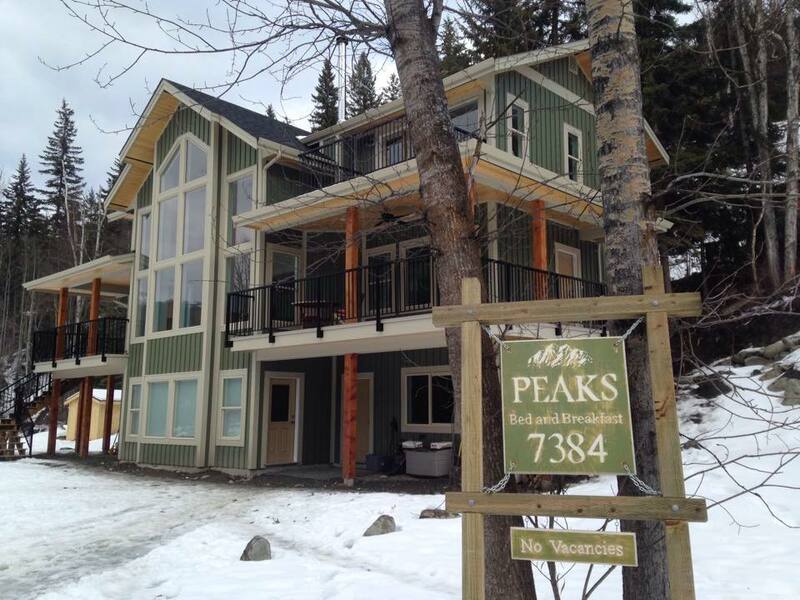 Christie used to work from her home near beautiful Sun Peaks Resort but has recently moved to Nova Scotia. 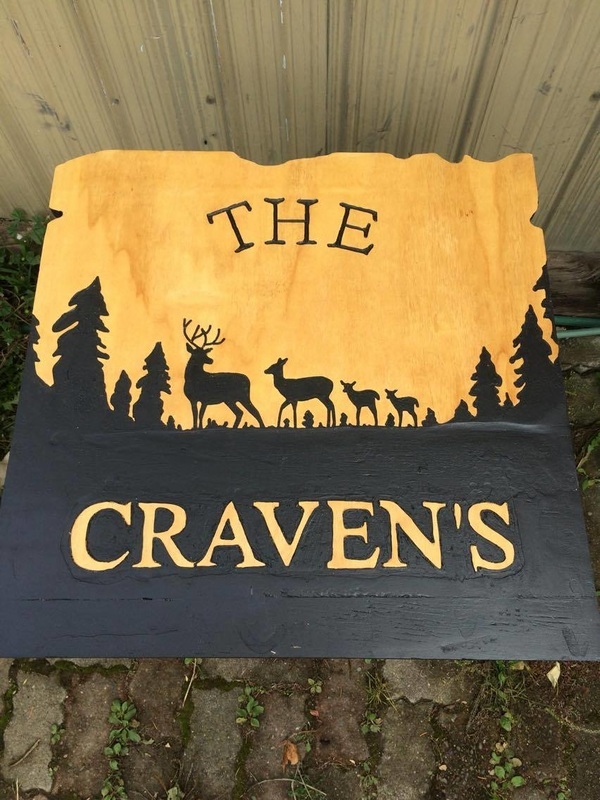 However she can still create your custom hanging wood sign or custom carved wood sign and ship it world-wide upon request. 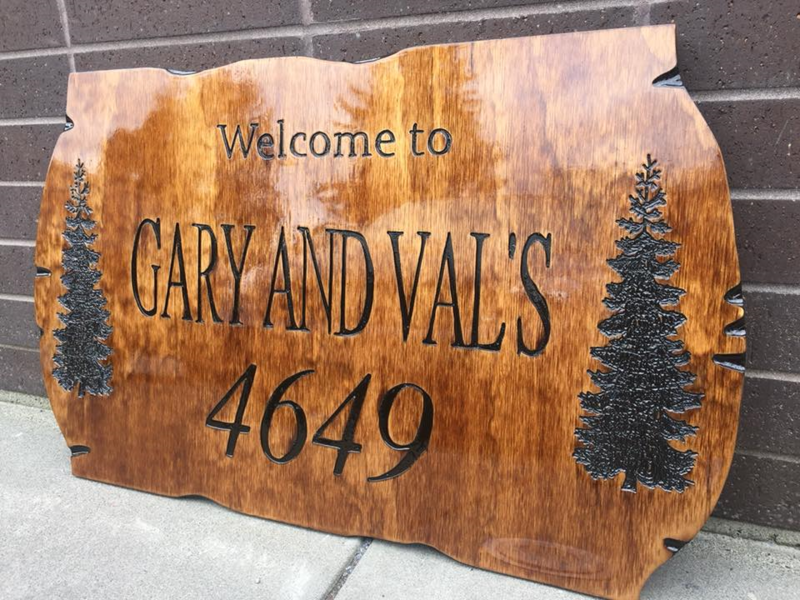 You can view some examples of custom wooden, carved signs created by Christie on this page, and then simply complete and submit the contact form to inquire directly about ordering your own carved wooden sign. "We love it, thank you Christie! Your work is amazing and of such high quality, ,I will definitely be recommending people to you!" "Communication was excellent and the finished products were great. " "Christie is truly a pleasure to work with. She exceeded my expectations in every way. I feel like her wood sign up-scales my whole business. She finished early and was able to transform my extra requests and custom template into such gorgeous work! I can't say enough good things about my experience. I'm already looking for a spot for another sign!" "I have ordered multiple signs and will continue to order. All my orders were completed before they were even expected to be! Would not hesitate to recommend!'" 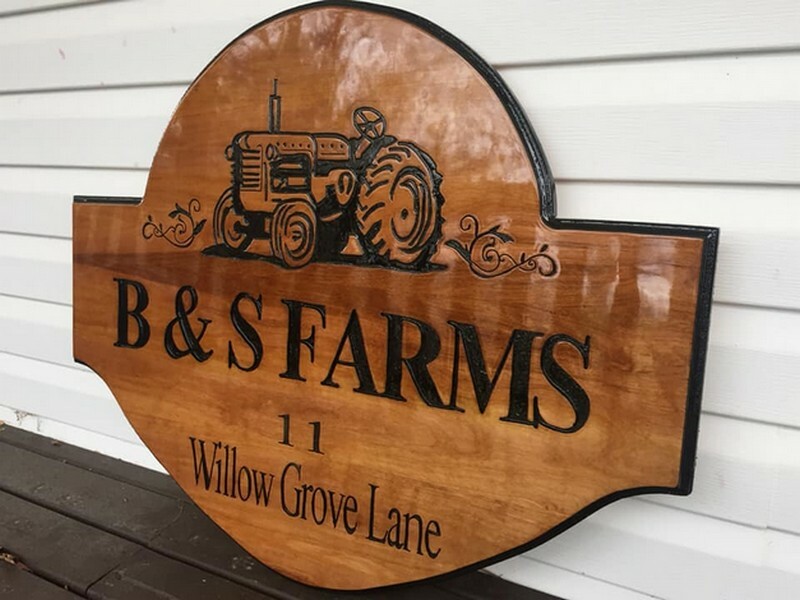 Christie was awesome in reproducing my friend's logo on an address sign for her farm. Her work is first rate, her prices are very reasonable, and we are all over the moon happy with the final product. I can't recommend her highly enough. 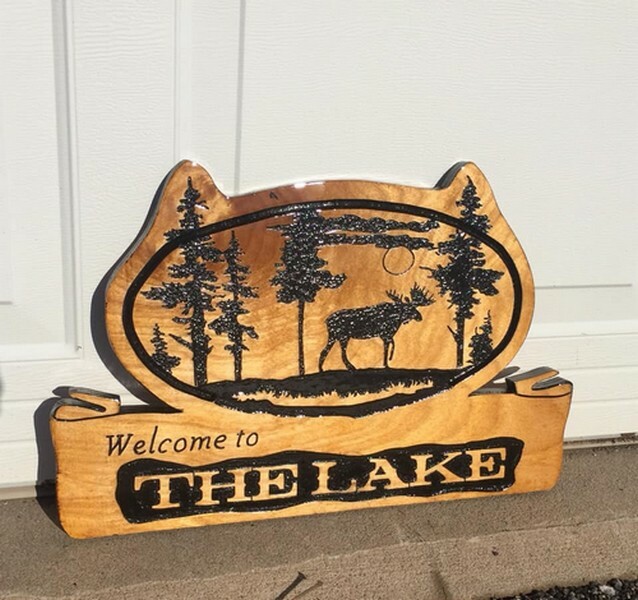 Thank you again from Bev Land, seconded by Kathy Stanley - Twin Acres Farm"
Whether your home, business or vacation rental property has a ski theme, bear theme, hunting, farming or wilderness theme, these beautiful carved signs can enhance the look and feel of your property and welcome everyone in. 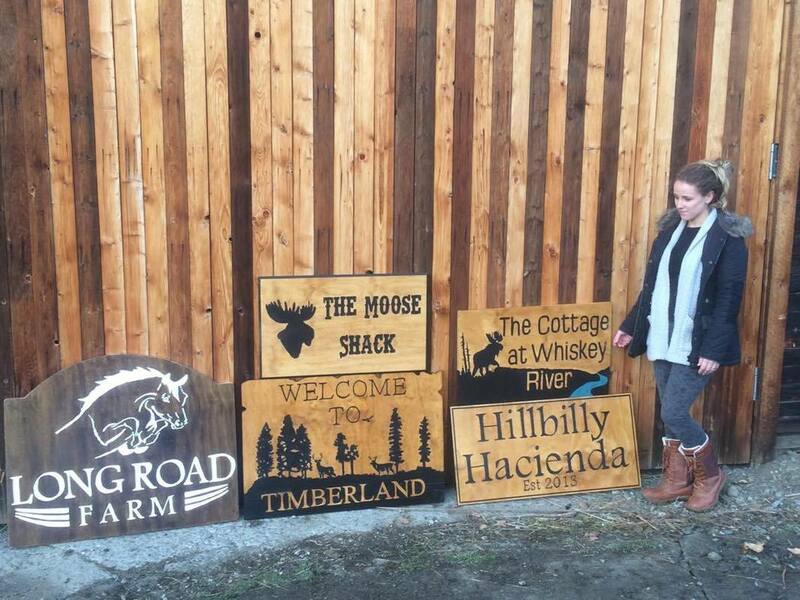 These are just a few examples of what Christie has created, and she would be pleased to work with your images, logos, or ideas to create your custom wood sign. 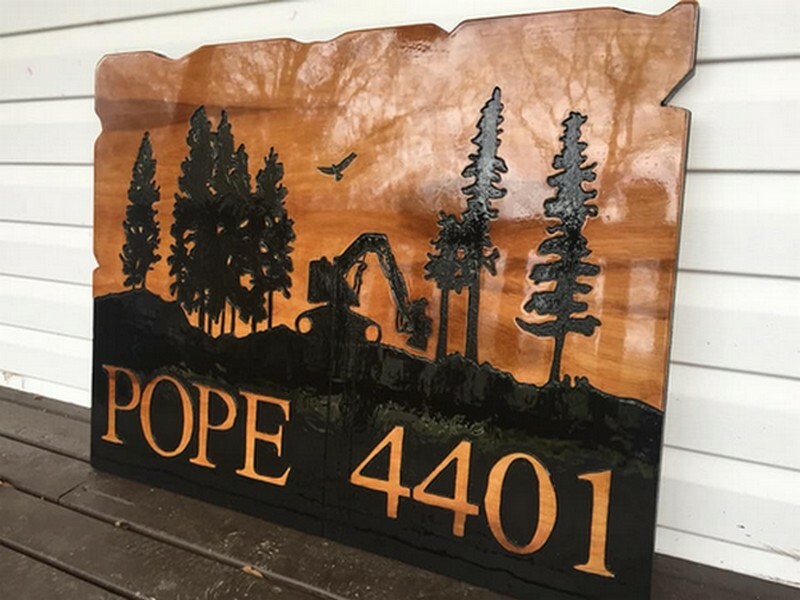 These are just a few examples of the creative, custom wood signs that can be ordered and custom created for your home, cabin or business. Design services available from your concept to her completion. 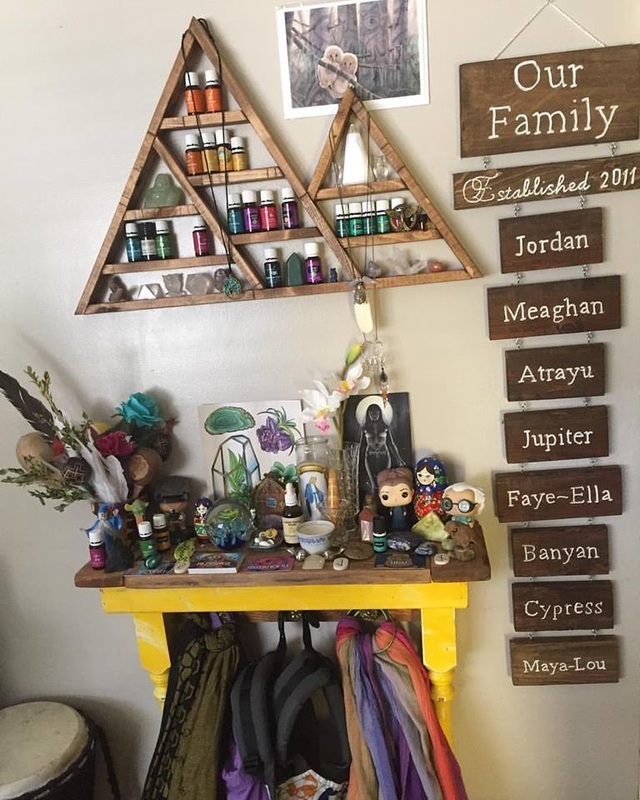 Simply complete the form below for more information about her products, special offers and other creative wood services available. 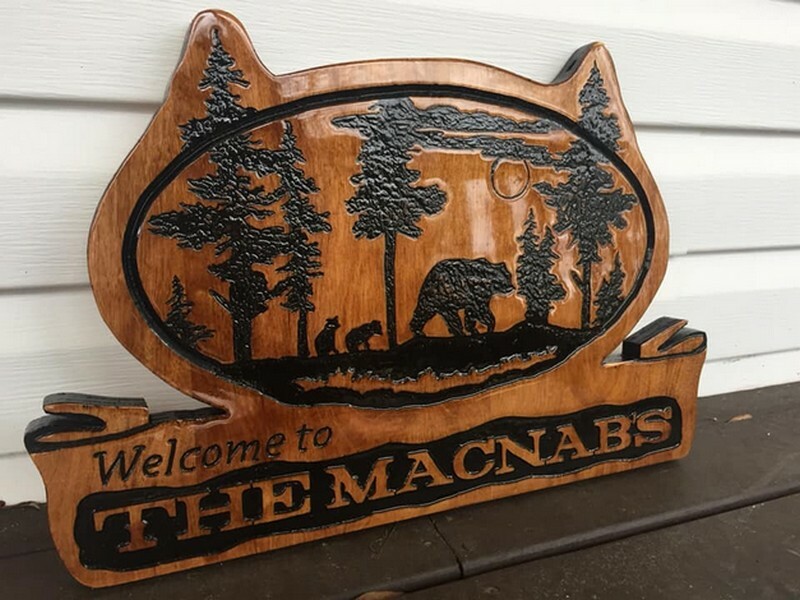 Christie will be in touch as soon as possible to get more design information and to provide you with a quote for your custom wood carved sign.